All Tucan Travel tours, river cruises, expedition cruises, and adventure trips. Find the best guided trips and expert planned vacation and holiday packages. 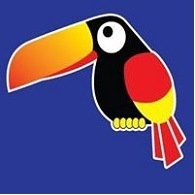 Average rating of 4.4 for all Tucan Travel trips. Early morning walk around Hoan Kiem Lake. Watch the early morning aerobics and enjoy a local speciality "egg coffee"